Our goal in writing this book was to validate teachers for strong efforts in their life's work. We often observe teachers' frustrations with what they perceive to be a multitude of different hot topics in education that they must attend to now, but which they expect to come and go, like the last hot topics. So, we wanted to help readers see similarities between many of these hot topics-differentiation, multiple intelligences, culturally responsive teaching, brain-friendly strategies, authentic assessment, and ethical classroom management which we feel are not flashes in the pan. And we trust that serious practitioners will not oversimplify the findings of neuroscientists and their application to education. Reading studies and books by scientists, a number of which are user-friendly, can help ensure that teachers separate the hype from credible information. We have seen this professionally judicious approach in the work of graduate students (Kolinski, 2007) in adopting brain-friendly strategies. We have intentionally packed both theoretical/research-based and practical information in this book because professional educators want to know why they should use certain approaches, models, and strategies. In turn, as professionals, we should be able to explain why we teach the way we do-not to justify, but to educate others about our knowledge-based, reflective, decision-making processes and the impact on student learning. Thus, it is important to read Chapter 1 because it lays a foundation. "Resource Notebook on Culturally Relevant and Responsive Learning Styles/Pedagogy"
ch. 8. Can There be a Theory of Expertise? "Learning Styles and Culturally Diverse Students: A Literature Review"
The concept of learning styles is based on the theory that an individual responds to educational experiences with consistent behavior and performance patterns. The complexity of the construct, the psychometric problems related to its measurement, and the enigmatic relationship between culture and the teaching and learning process means that the body of research on learning styles must be interpreted and applied carefully. Analyses presented in this paper suggest that the widespread conclusions in the literature that African American, Hispanic American, and Indian students are field-dependent learners who prosper academically when taught with field-dependent teaching strategies are premature and conjectural. Research does not support the supposition that members of a particular ethnic group have the same learning style. The body of research does have implications for enhancing the academic achievement of culturally diverse students by reminding teachers to be alert to individual students' learning styles as well as their own actions and methods in reference to their students' cultural experiences and preferred learning environments. "Cognitive Style of Selected International and Domestic Graduate Students at Marshall University"
Gordon, Howard R.D., Wyant, Laura J. Data and analysis-rich article (2003) in “Educause,” an education journal, focused especially on the “millennial generation” and computer technology. The author discusses how the learning styles, attitudes, and aptitudes of today's "new students" vary depending on age, experience, and preferences, requiring colleges and universities to find a variety of ways to meet students' expectations. "Using Learning Styles to Adapt Technology for Higher Education"
Looks at some of the roles that cultural context plays in developing and using various teaching and learning styles. Re-print of chapter 7 of “Teaching, Testing, and Measuring Intelligence” (University of Wisconsin Press). "'Learning Styles' and Instructional Design"
"Acknowledging the Learning Styles of Diverse Student Populations"
"Doing It Differently: Unleashing Student Creativity"
Student assignments and assessment – is there life beyond the ten-page essay? 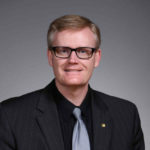 Drawing on the theory of multiple intelligences and experience with an assignment in which students were asked to address course content in anything but an essay, the author considers the challenges and virtues of a creative format that does not rely exclusively on linguistic intelligence. The process, presentations, and evaluative approach employed in an assignment that called upon student creativity in a "Women and the Bible" course are described, and pedagogical and practical considerations explored. The analysis of a particularly memorable student submission reveals layers of complexity seldom achieved in a conventional essay format. Learning styles are linked to preferences in the ways people perceive and process experience. 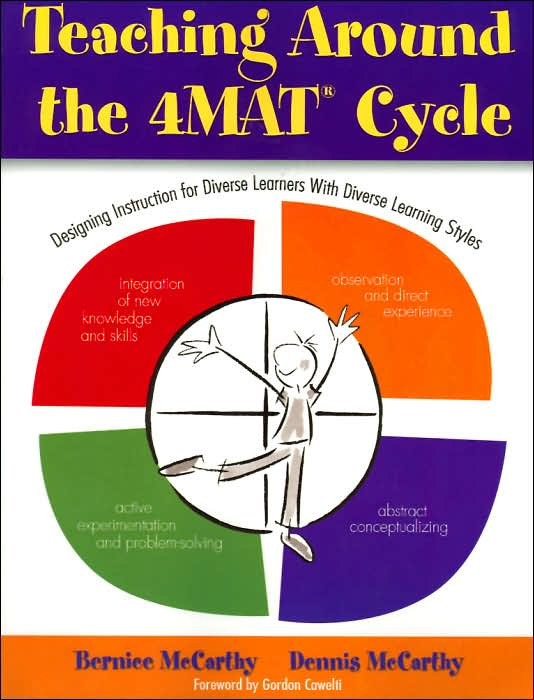 Bernice McCarthy's unique 4MAT cycle is a brain-based teaching method that emphasizes diverse learning styles, honors learner individuality, teaches concepts as well as facts, and improves student thinking and performance on traditional as well as high-stakes assessments. With 25+ years of field testing and field use supporting its effectiveness, the 4MAT method uses a 4-quadrant cycle of learning that begins by engaging learners through direct experience, moving them toward: Reflective observation, Abstract conceptualizing, Active experimentation and problem-solving, Integration of new knowledge and skills. The Changing Understanding of How We Learn Part 1: We're Not in MI Anymore! Preparing the way to advocate for a more "brain based" approach to diverse learners, Inglis asserts that even the creator of "multiple intelligences," Howard Garner, announced a decade ago that he was "over" the theory and that educators need to "move on." An overview of the research on “universal design,” which aims to design instruction to maximize the learning of students from a wide variety of ethnic and racial backgrounds, English language skills, learning styles, and disabilities. Pt. 1 What Do We Know About the Affective Domain? Pt. II How Do We Emphasize the Affective Domain in Teaching? A 10-page article by Chip Heath and Dan Heath, drawing on their book "Made to Stick: Why Some Ideas Survive and Others Die" (Random House, 2007), focusing on concrete practices teachers can adopt to make their teaching "stickier" -- so that students retain more of what they hear. "Cognitive Styles and Multicultural Populations"
Journal of Teacher Education 39, no. 1 (1988): 2-9. Social scientists generally agree that different cultures have different cognitive styles. New educational models which operate within a multicultural framework are necessary. As a result, traditional approaches to training educators must be adjusted if minority groups are to enter teacher education programs. An extensive website with multiple diagrams and links to extended presentations on the various aspects of the Bloom taxonomy of learning styles. Kaplan, Matthew; Silver, Naomi; LaVaque-Manty, Danielle; and Meizlish, Deborah, eds. Abstract: Research has identified the importance of helping students develop the ability to monitor their own comprehension and to make their thinking processes explicit, and indeed demonstrates that metacognitive teaching strategies greatly improve student engagement with course material. This book -- by presenting principles that teachers in higher education can put into practice in their own classrooms -- explains how to lay the ground for this engagement, and help students become self-regulated learners actively employing metacognitive and reflective strategies in their education. Key elements include embedding metacognitive instruction in the content matter; being explicit about the usefulness of metacognitive activities to provide the incentive for students to commit to the extra effort; as well as following through consistently. 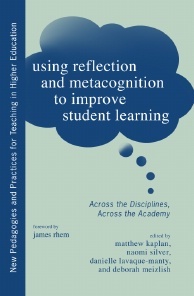 Recognizing that few teachers have a deep understanding of metacognition and how it functions, and still fewer have developed methods for integrating it into their curriculum, this book offers a hands-on, user-friendly guide for implementing metacognitive and reflective pedagogy in a range of disciplines. Offering seven practitioner examples from the sciences, technology, engineering and mathematics (STEM) fields, the social sciences and the humanities, along with sample syllabi, course materials, and student examples, this volume offers a range of strategies for incorporating these pedagogical approaches in college classrooms, as well as theoretical rationales for the strategies presented. A course, a resource, and a source of knowledge about learning, how it can be developed, and how it differs among learners. "Human Timeline: A Spatial-Kinesthetic Exercise in Biblical History"
The Human Timeline invites students to physically re-create biblical history. Each student holds a card that denotes an event randomly selected from the biblical timeline. They then arrange themselves chronologically to learn the correct flow of biblical history. Because of the movement involved and the arbitrary layout of the cards among their classmates, learners engage their spatial-kinesthetic intelligences through this activity. The exercise proves popular among students who identify themselves as "visual" learners, and ultimately serves the biblical studies classroom by reinforcing biblical history as a necessary framework for understanding the biblical text. Matthaei, Sondra Higgins; and Howell, Nancy R., eds. Abstract: Could we have imagined how much theological education would change in the new millennium? Shifting needs of students, classrooms, and churches have demanded constant revisions of the curriculum, course design, classroom technology, and pedagogical strategies. Saint Paul School of Theology felt the tide of change within our own walls and designed a project called "Proleptic Pedagogy" to address three distinct pedagogical challenges for the future of theological education. First, instead of fitting new technologies into old pedagogies, how are teaching and learning transformed by shifting needs of students who are "digital natives," "digital immigrants," or distance learners? Second, instead of reactive strategies, what pedagogy proactively eliminates "accommodations" because courses are designed with flexibility and openness to diverse learning styles, disabilities, and needs? 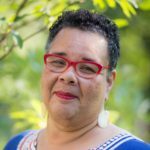 Third, instead of engaging student diversity with the tools of the 1960s, what new teaching and learning strategies anticipate future student racial and ethnic demographics and interracial educational experiences? ch. 4 Are There Additional Intelligences? ch. 5 Is There a Moral Intelligence? ch. 12 Who Owns Intelligence? Grasha never strays from showing readers how the content applies to them and their teaching. The book takes the reader on a journey that includes an understanding of the elements of teaching and learning styles; the need for discovering Who am I as a teacher? and What do I want to become? ; personal change processes in teaching; exploring one's philosophy of teaching; and an integrative model for selecting instructional processes that are keyed to different blends of the Expert, Formal Authority, Personal Model, Facilitator, and Delegator styles of teaching and the Independent, Avoidant, Collaborative, Dependent, Competitive, and Participant learning styles. Written to integrate the involvement of a workshop with the information of a text, Teaching With Style captures and holds our attention. Throughout each of the eight chapters, a variety of self-reflection activities - including the Teaching Styles Inventory, Grasha-Riechmann Student Learning Style Scales, Metaphors We Teach By Questionnaire, inventories of Psychological Type, Theoretical and HIstorical Assumptions About Teaching, and numerous checklists - help faculty motivate learners, promote critical thinking, encourage active learning and retention, and develop self-directed learners. Provides citations to more than 200 works by researchers and practitioners across disciplines. Acknowledging that "there certainly are important abilities outside of what IQ tests measure," McGreal argues that calling these "intelligences" is unsupported by scientific warrants, and may produce needless confusion for educators. Further, he finds that such varying "intelligences" are "explainable in terms of existing concepts of personality and general intelligence." "Making Differences: A Table of Learning"
Describes a new taxonomy of liberal and professional learning--a Table of Learning--that creates a system for classifying the kinds of learning faculty seek for their students, and also serves as a stimulus for the design and evaluation of education. Presentation of basic concepts of experiential learning theory informing the Kolb Learning Style Inventory, a tool designed to help individuals identify the way the learn from experience. "The Foundations of the Theory of Multiple Intelligences"
Multiple Intelligences in the Classroom, Assn. for Supervision & Curriculum Development, Alexandria, VA.
Video. Short FAQ in which Daniel Willingham (Professor of Psychology at the University of Virginia) lays out the case against “Learning Styles” theory. With links to research papers and a YouTube video. A five-year research project of seminary students from various cultural backgrounds revealed that the slight majority of contemporary seminary students studied are oral learners. Oral learners learn best and have their lives most transformed when professors utilize oral teaching and assessment methods. After explaining several preferences of oral learners, suggestions for effective teaching are provided in this article in order to improve both teaching and assessment of oral learners. Applications are provided for face-to-face and online learning contexts. Every teacher wants to improve teaching effectiveness, and a good place to begin is by understanding the various ways students perceive and process information. The definitive Multiple Intelligences Webpage. 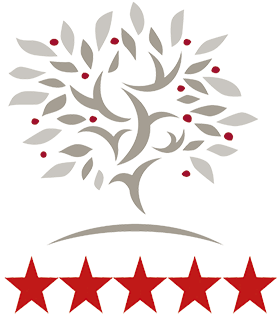 (Homepage of Thomas Armstrong, disciple of Howard Gardner, the educator responsible for appropriating multiple intelligences for classroom use.) Lots of useful information, links, suggestions. A short essay on different modes of knowledge - intellectual, intuitive, affective, and somatic - that can be used to represent and examine texts in the context of a given course. Mark Unno teaches East Asian Religions at the University of Oregon. "Uncovering the Evidence that Cultural Context is Important"
Looks at some of the role cultural context plays in developing and using various teaching and learning styles. Re-print of chapter 7 of “Teaching, Testing, and Measuring Intelligence” (University of Wisconsin Press).